1. Lameire N, VanBiesen W, Vanholder R. Did 20 years of technological innovations in hemodialysis contribute to better patient outcomes? Clin J Am Soc Nephrol. 2009; 4 (Suppl 1): S30–40. DOI: 10.2215/CJN.04000609, PMID: 19996003. 2. Henderson LW, Beans E. Successful production of sterile pyrogen-free electrolyte solution by ultrafi ltration. Kidney Int. 1978; 14:522–525, PMID: 750697. 3. Ghezzi PM, Frigato G, Fantini GF. Theoretical model and fi rst clinical results of the paired fi ltration dialysis (PFD). Life Support System. 1983; 1 (suppl 1): 271–274, PMID: 6336427. 4. Kotov MV, Baeva LB, Strokov AG. Paired fi ltration-dialysis, acetate free biofi ltration, bicarbonate dialysis for treatment patients after kidney transplantation. XXXIV Congress of ERA-EDTA. Geneva, 1997; 148. 5. VanStone JC, Mitchell A. Hemodialysis with base-free dialysate. Proc Dialysis Transplant Forum. 1980; 10: 268–271, PMID: 6287452. 6. Zucchelli P, Santoro A, Raggiotto G, Degli Esposti E, Sturani A, Capecchi V. Biofi ltration in uremia: preliminary observations. Blood Purif. 1984; 2: 187–195, DOI: 10.1159/000169333. 7. Bene B, Bernard M, Perrone B, Simon P. Simultaneous dialysis and fi ltration with buffer-free dialysate. Blood Purif. 1985; 2: 217–222. 8. Котов МВ, Строков АГ, Поз ЯЛ, Баева ЛБ, Фролов АН. Схема одновременного проведения безацетатной биофильтрации двум пациентам. Медицинская техника. 1998; 3: 33–34. Kotov MV, Strokov AG, Poz YL, Baeva LB, Frolov AN. Skhema odnovremennogo provedeniya bezatsetatnoy biofi l'tratsii dvum patsientam. Meditsinskaya tekhnika. 1998; 3: 33–34. 9. Leber HW, Wizemann V, Goubeaud G, Rawer P, Schütterle G. Hemodiafi ltration: a new alternative to hemofi ltration and conventional hemodialysis. Artif Organs. 1978; 2: 150–153, DOI: 10.1111/j.1525-1594.1978. tb03444.x. 10. Строков АГ, Поз ЯЛ, Котов МВ. Гемодиафильтрация с приготовлением замещающего раствора с помощью диализного аппарата без волюметрического контроля ультрафильтрации. Медицинская техника. 1990; 4: 33–34. Strokov AG, Poz YL, Kotov MV. Gemodiafi l'tratsiya s prigotovleniem zameshchayushchego rastvora s pomoshch'yu dializnogo apparata bez volyumetricheskogo kontrolya ul'trafi l'tratsii. Meditsinskaya tekhnika. 1990; 4: 33–34. 11. Строков АГ, Поз ЯЛ, Баева ЛБ, Левицкий ЭР, Анненков АЕ, Рудько ИА, Кубатиев АА. Об опыте многократного использования диализаторов. Терапевтический архив. 1994; 6: 60–65. Strokov AG, Poz YL, Baeva LB, Levitskiy ER, Annenkov AE, Rud'ko IA, Kubatiev AA. Ob opyte mnogokratnogo ispol'zovaniya dializatorov. 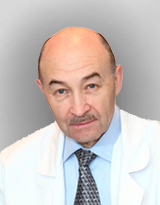 Terapevticheskiy arkhiv. 1994; 6: 60–65. 12. Grooteman MPC, van den Dorpel MA, Bots ML, Penne EL, van der Weerd NC, Mazairac AH et al. CONTRAST Investigators. Effect of Online Hemodiafi ltrationon All-Cause Mortality and Cardiovascular Outcomes. J Am Soc Nephrol. 2012; 23: 1087–1096. DOI: 10.1681/ ASN.2011121140, PMID: 22539829. 13. Maduell F, Moreso F, Pons M, Ramos R, Mora-Macià J, Carreras J et al. ESHOL Study Group. High-effi ciency postdilution online hemodiafi ltration reduces all-cause mortality in hemodialysis patients. J Am Soc Nephrol. 2013; 24 (3): 487–497. DOI: 10.1681/ASN.2012080875, PMID: 23411788.